Welcome March! - The Resourceful Room! I have been so so busy!! I've got a couple of big projects in the works that I am looking forward to sharing with all of you! First up I FINALLY finished my March Fluency Packet! I love how it turned out and hope you will too! 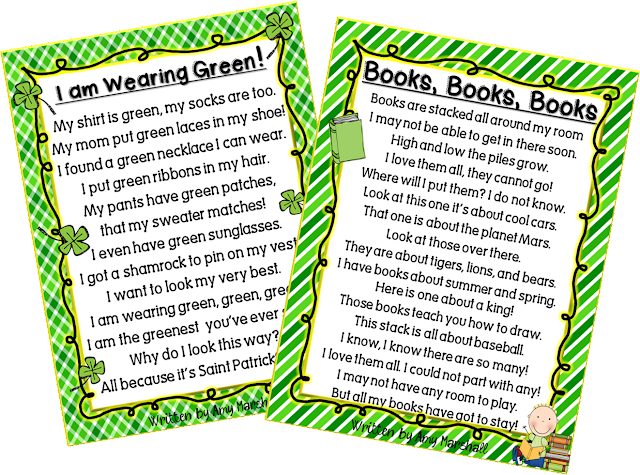 I have included both St. Patrick's Day and reading month activities! Click on the picture to go to my store and check it out! Here's a freebie from the unit to get you going in this brand new month! Two original poems! Click on the picture below to pic them up!! Hope you all have a wonderful start to this new month!! I hope to be back with more soon!! I like your poems Amy!! Happy March! These poems are exactly what I am always looking for! 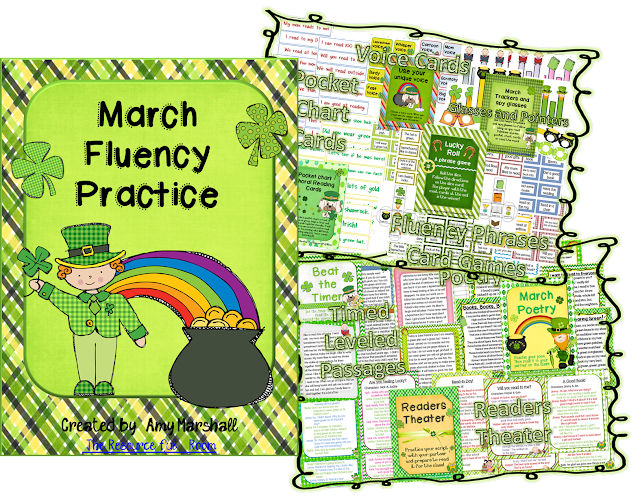 I just love using things like this for working on fluency so this will be perfect. Thanks so much for sharing! I have had your blog button on my "Teaching Blogs I Love" tab for months and months and realized that I have never even commented on your blog! Thanks again for all of the wonderful ideas and this incredibly helpful freebie! We have a Winner - Main Idea Activity!